Ok, so first up is one of my favorites, The White Shirt Redux. 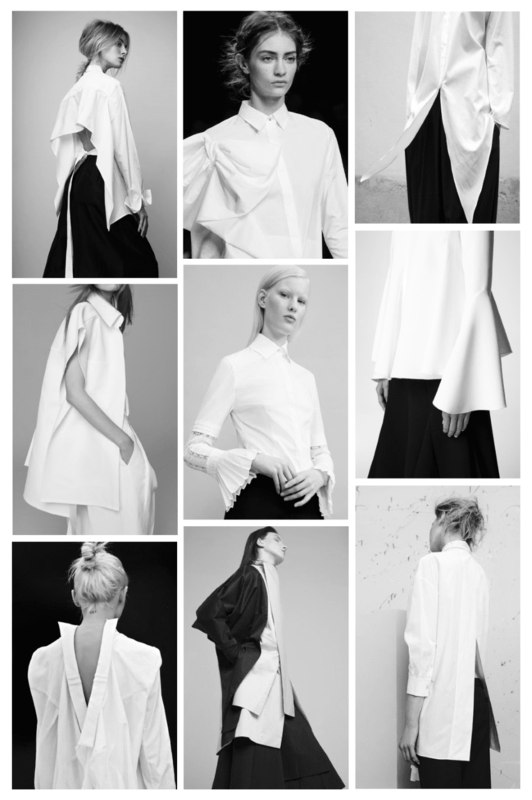 The classic white button-down has had a designer refresh this year and shirts have gone from basic to visually interesting with uneven hemlines; subtly exaggerated details; and unconventional silhouettes. Stunning! Thanks for joining the linkup last week! it's trend that goes season after season. And I love it!